When you think about doing a DIY project, you likely have something in mind for your home or perhaps as a gift for someone you love. There is another member of the family, however, that often gets overlooked when it comes to this type of the project. 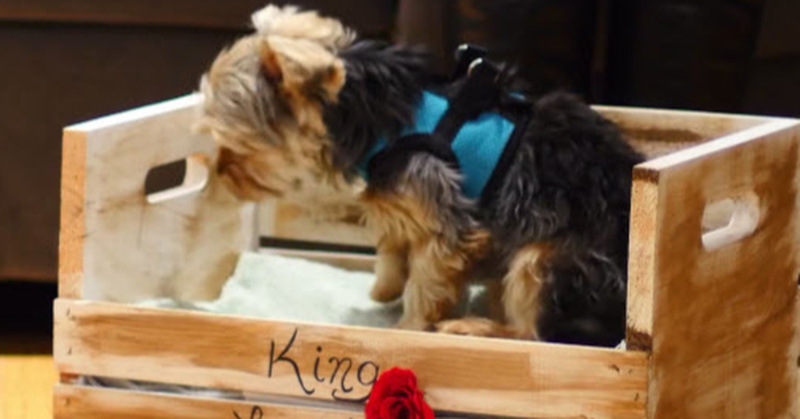 I’m talking about the family dog and if you want to make something for this beloved member of the family, then this DIY wooden crate bed is the perfect choice. When we bring an animal into the home, they quickly take over our heart and becomes a part of the family. It isn’t necessarily something that we are trying to do but we all recognize how quickly it can happen. As a matter of fact, we may even find that the dog is an even greater part of our family when compared to others who tend to lead a life of their own. There are certain DIY projects that may be difficult to do but that isn’t the case with this project. In fact, you may find it quite inspirational when you attempt to do it. Since it is simple and requires just a minimal amount of effort on your part, it can really help to get you interested and perhaps even change your perception of what a DIY project is supposed to be. When you look down at the little bed in front of you and see how much your dog is enjoying it, you may just want to try your hand at making other projects as well. This is the perfect present for your fur friend but don’t overlook the fact that it is also an excellent gift for other human friends as well. Give it to them and let them know that you not only care about them, you care about their dog as well. Start by removing the upper two slats on one side of the crate. Paint on your diluted chalk paint onto the crate and let it dry. Then use antique wax or wood stain to add details. Use a paper towel to spread it thinly over the crate and let dry. Use a hot glue gun to attach the found candlestick holders to the bottom of the crate as the legs. Add in some bedding like a small pillow or a blanket. Feel free to customize it with your dog’s name and then it’s ready to go!